Week 10 of 12! I can't believe we only have two more weeks in our study. 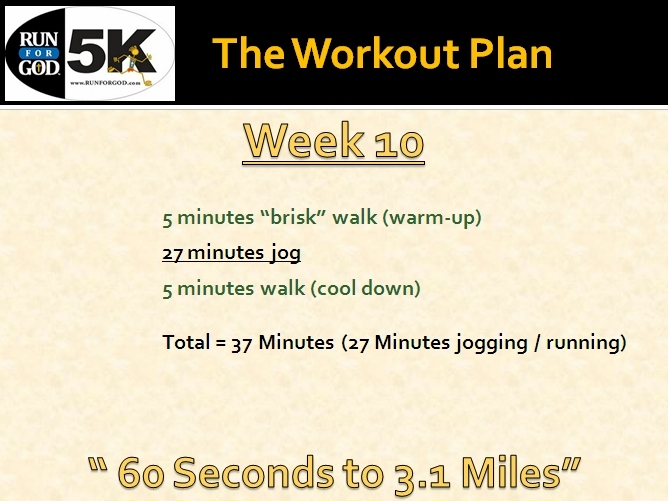 From our first '60 second run' to this week's 27 minute workout, we have come a long way. Keep it up. There is significant endurance to be gained over the next few weeks through our long runs. Be disciplined in your workouts and your diet, and race day is going to go great. 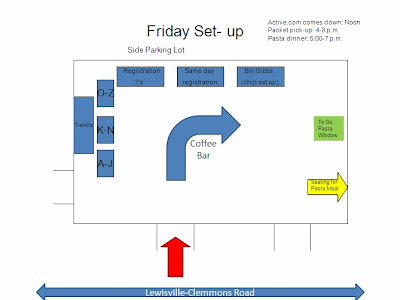 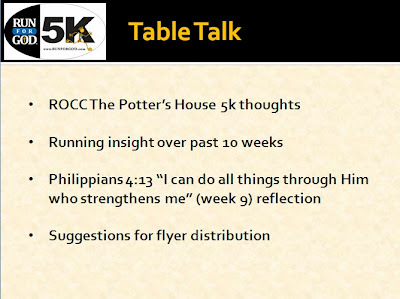 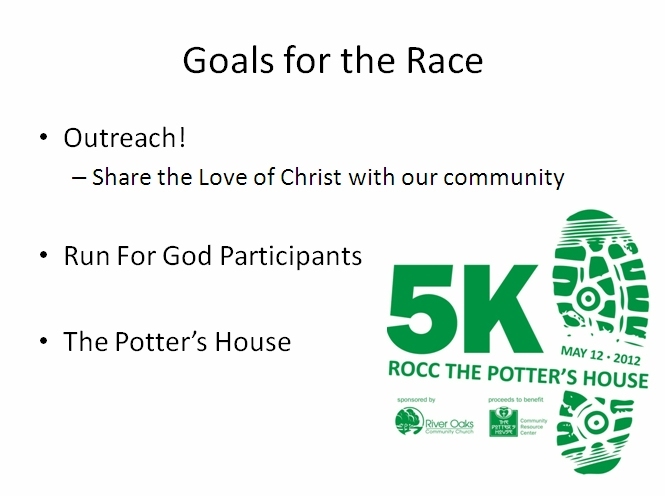 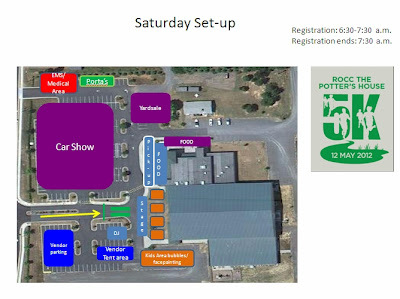 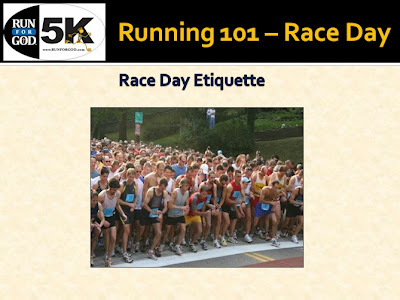 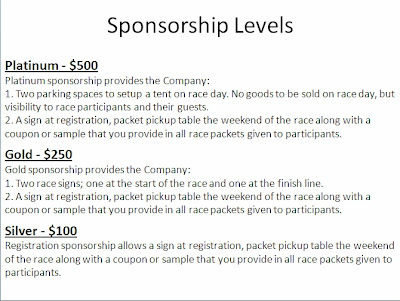 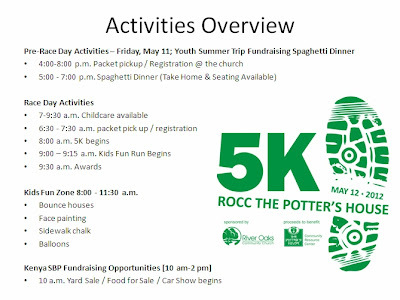 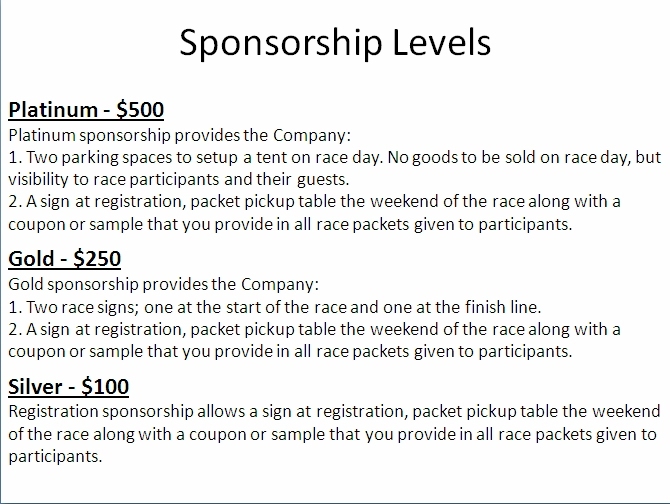 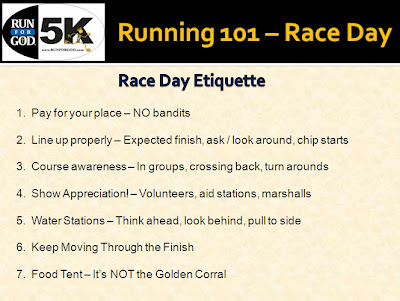 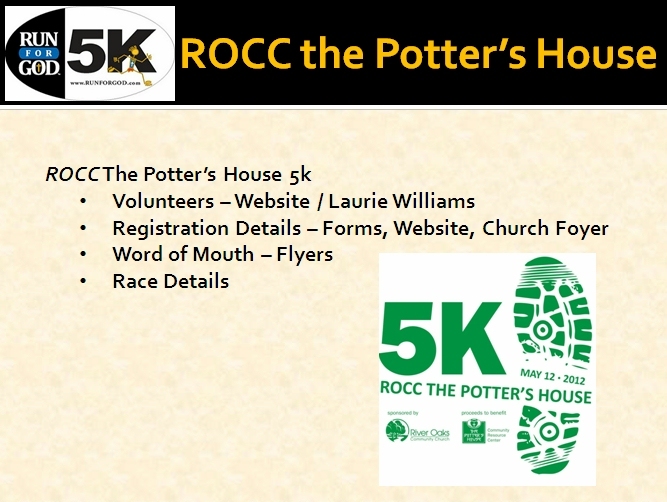 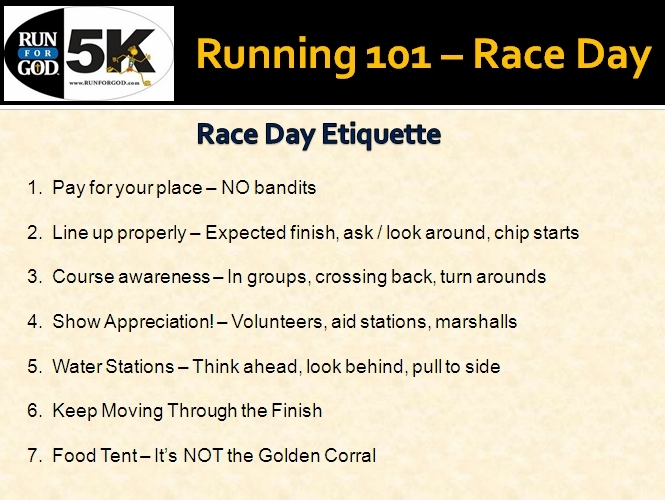 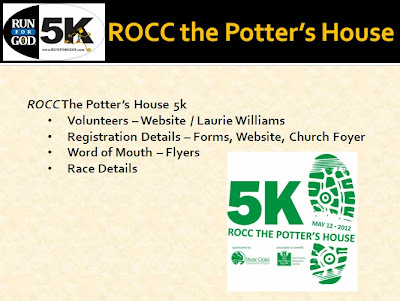 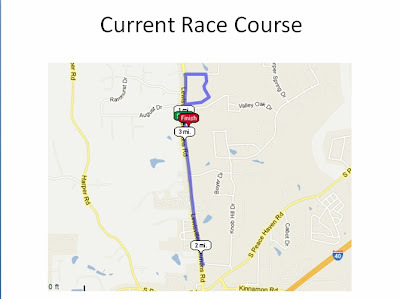 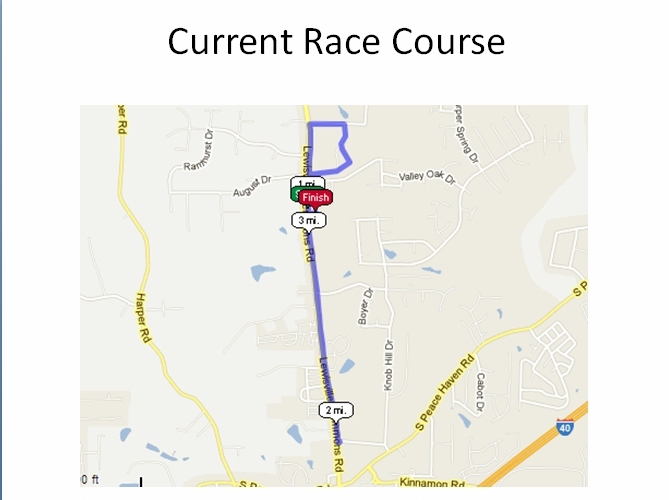 Speaking of the ROCC The Potter's House 5k on May 12th, the slides below cover critical race day details, as well as general race day guidelines (etiquette). 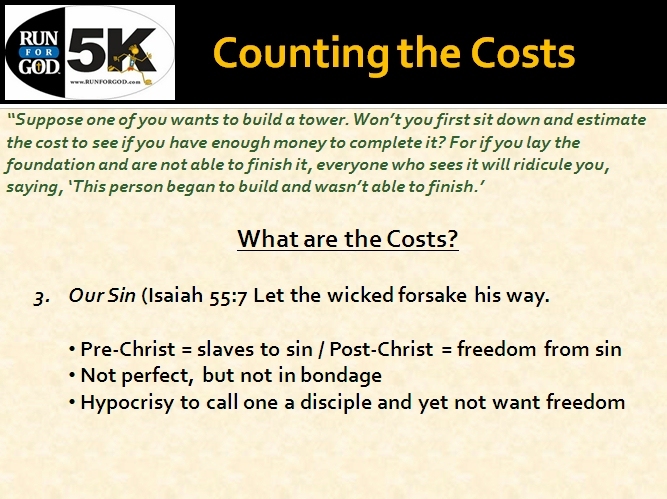 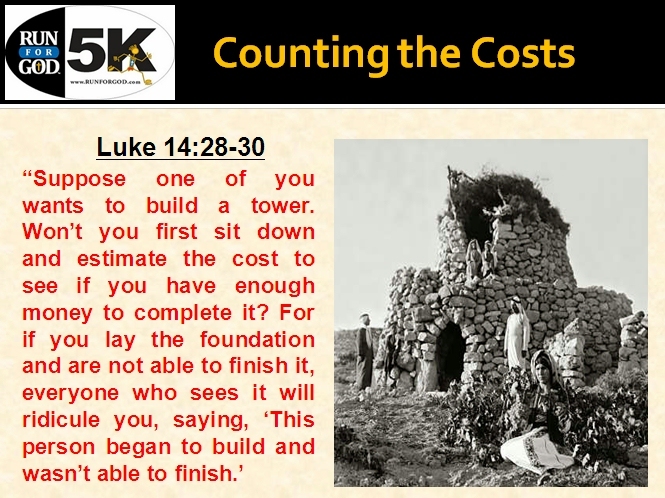 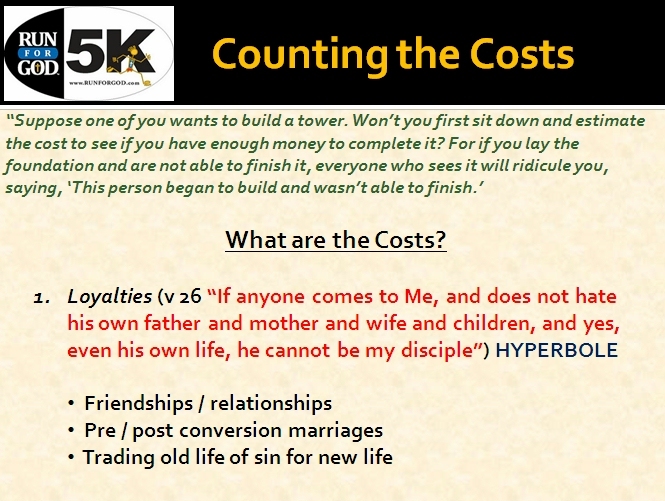 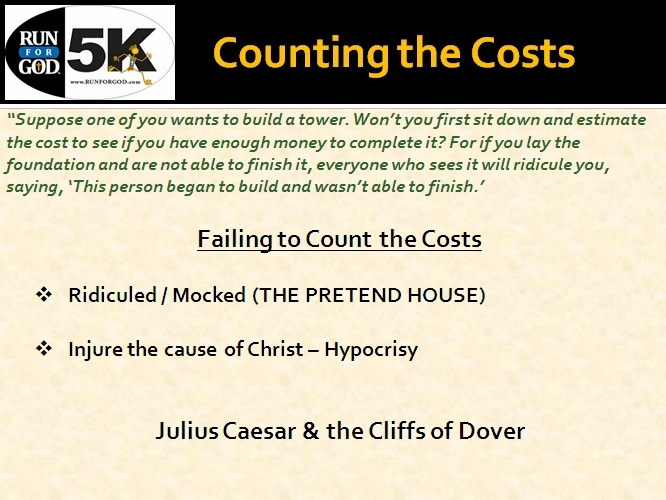 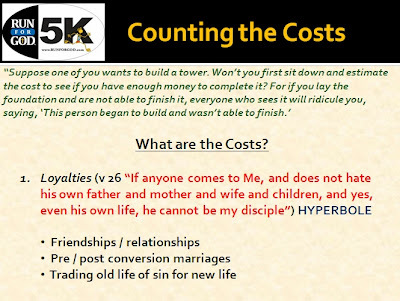 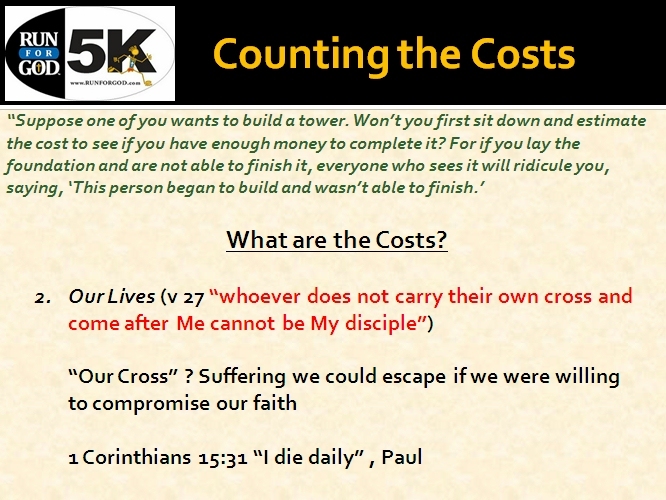 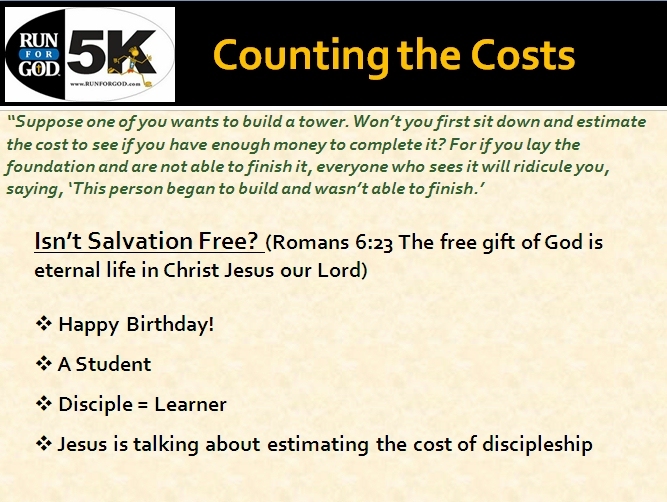 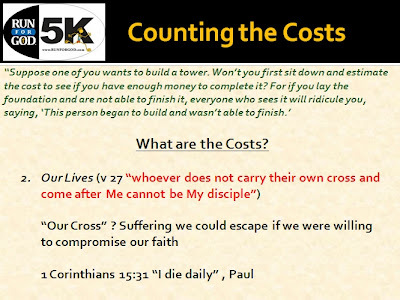 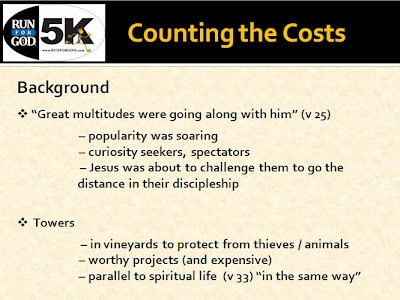 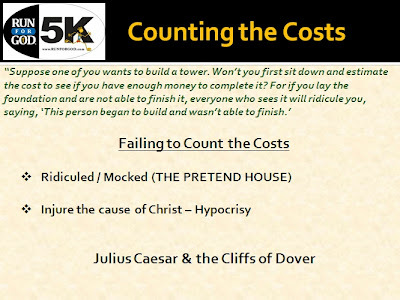 The study this week is a message on 'Counting the Costs'. 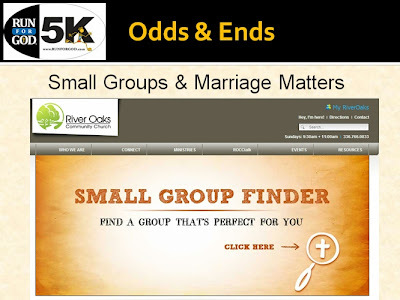 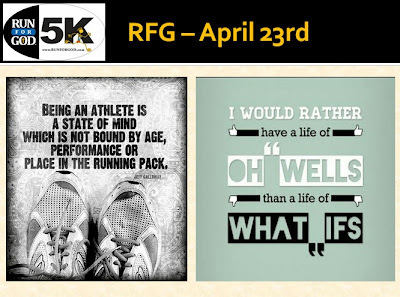 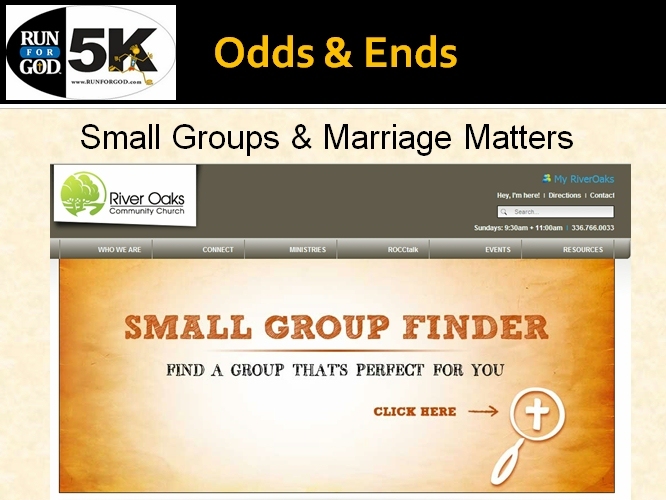 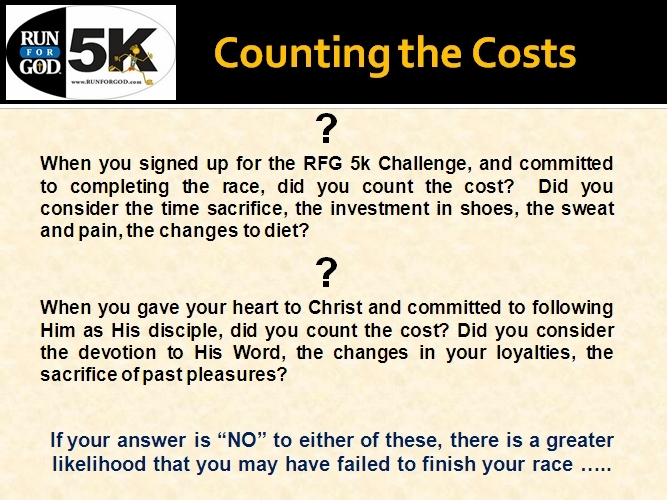 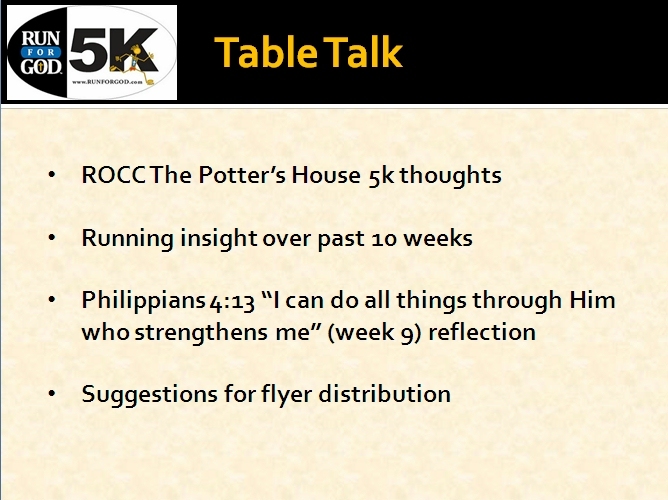 An application to signing up for the RFG 5k Challenge and to signing up as a follower of Christ. 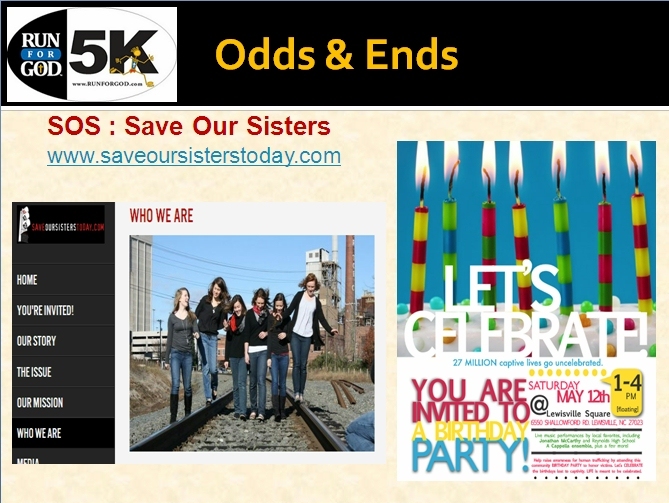 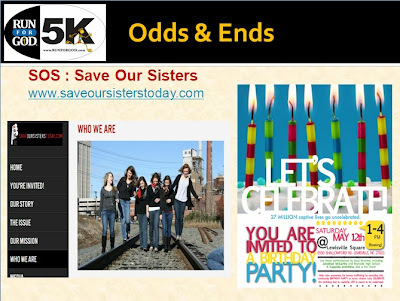 Lastly, check out the 'Odds & Ends' slides. 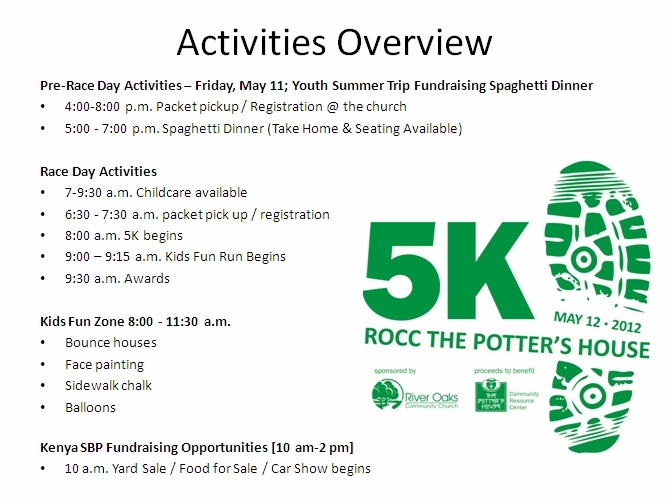 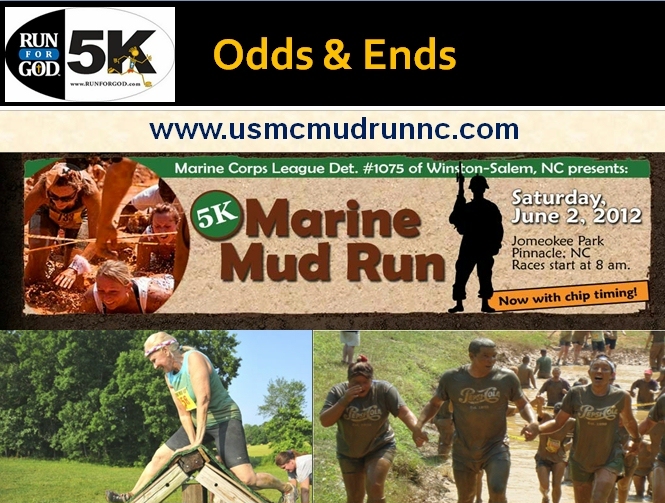 Really cool information on various groups in our area and an opportunity to get dirty! 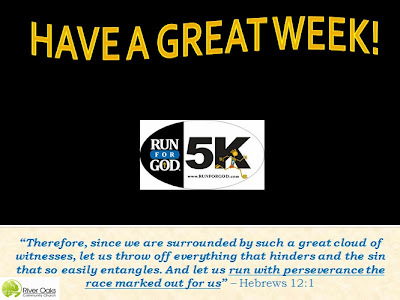 Have an excellent week. 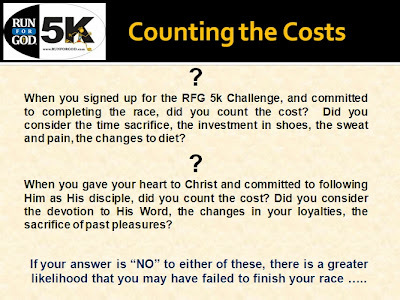 Let me know of any questions.